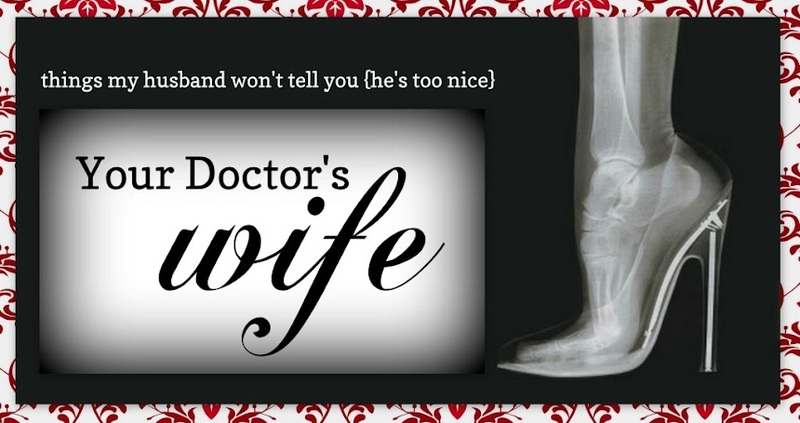 Once again, Doctor's Wives Living is tackling the issues with find ourselves dealing with at home. If these aren't an issue at your house, it means your kids are still cute little munchkins. Give it a few years... With a house full of teens, I couldn't agree more. Technology and family boundaries are a must! Love, Lust & The In-Between offers advice to anyone experiencing challenges in their lives. Readers of this magazine are most welcome to send in their questions, which will be handled with the utmost confidence. Lisa and Amanda will each reply with their own perspectives. Please be aware that their advice comes from experience, not a classroom, and is therefore only to be applied to your personal situation if it feels like the right thing for you. Lisa and Amanda look forward to helping you. Question: Media is taking over our family! Some days I wish that all power and gadgets would just go away. It is getting to the point where my husband is texting our teenagers when we are all in the house! Dinners have gone from the dining table to in front of the TV. I have spoken to my husband about this matter many times, but he says that I am over exaggerating. I have two teenagers who never talk to us anymore and I think it is going to just get worse if I don’t do something now. Help! Lisa’s Answer: I was reading an article about this recently in which the child psychologist interviewed said that it’s important that parents talk to their children about cell phone etiquette and model the same behavior. So if you want it to get better, you’re going to need to get your husband on board. I can see texting each other while in the same house funny at first (I’m guilty of it too) but it’s not ok if it’s ongoing. As for the TV, again, it’s up to you to set the boundaries and stick to them. They’re teenagers, so they won’t be thrilled with the limitations, but you have to hold firm. Write up a list of rules about what is and isn’t acceptable technology-related behavior, sit down and talk to your husband seriously to go over them, hold an informal family meeting to explain the new system and keep them on the fridge as a reminder. This isn’t just about your kids behavior at home, it’s about teaching them appropriate life skills, and perhaps that might be the best way in explaining it in order to get your husband on your side. We grew up understanding the importance of face-to-face connection because we didn’t have the same distractions but they didn’t so it needs to be made clear to them. For example, you wouldn’t want them texting during a job interview. Or watching TV during a dinner date with a special someone. Furthermore, they will have kids one day and if the problem isn’t nipped in the bud now it could escalate down the generation line. I know it’s tough to be the bad guy but ultimately it’s about molding them into respectful and courteous human beings. They’ll thank you later. Amanda’s Answer: Yes, I agree with Lisa. They need to know their boundaries and acceptable behaviour around cell phone use and she’s outlined some great ways to do that. There’s no getting around it, those gadgets are here to stay, and it’s your teens’ reality. I understand your frustration, but is this more than just about technology getting in the way of family time? Could it be you are feeling like you are losing touch with them and losing the closeness you share and you don’t want that to happen? Your kids are at a time in their lives when they begin to see themselves as a separate entity from the family group, and are starting to experience what it’s like to be an individual and to have experiences that don’t include their parents. It’s completely natural for them not to talk to you and include you as much as they used to. They key is for them to feel secure and loved and supported during this crazy hormonal time, and know that you going to be there for them if they get in trouble and need your help. This phase in your children’s lives is scary because you’re so used to being the one to catch them even before they know they’re going to fall and to being the centre of their world, and you feel the need to stay as connected as you were when they were little. You probably would even feel guilty if you are less connected (I know I did at first when my kids started becoming adults), but trust me, understanding and respecting the distance they need right now and why they need it will ensure a long-term loving relationship between you (which is not to say you stop parenting, just that you’re aware of the reasons behind their behaviour). Remember the teenager you once were, because that will help you relate to what they’re experiencing. Finally, if you are looking for ways to engage one-on-one with your kids, here’s a suggestion: see if once a week, or once every two weeks, everyone wants to plan a family dinner night where the kids cook for you. Their choice of recipe, and you help when called for, but otherwise they get to play the adults and do something nice for the whole family. They learn to cook (if they don’t already know) and you get to spend time with them and eat dinner together. Good luck! I always say being a parent is the toughest job in the world. In the words of Kenny Rogers ”you gotta know when to hold ‘em, know when to fold ‘em” – and that ain’t no easy task. Family dinner time has always been important to me so no TV and no answering the phone. I've even gone as far as taking cell phones away from my grandsons' friends when they eat dinner with us if they couldn't follow that rule. At first they were upset but we all eat together at the table and talk to each other. My kids are still little but we set a rule of no toys at the table when they were really little and that applies to no phones for my husband and I. He gets some leeway on call nights, but most of the time we stick to it. I'm hoping that'll make it easier to enforce the rules of no phones for them as they get older.